• Headline of the week/weak: "Two drivers arrested for drunken driving in same car." • Considering everyone involved, this has to be the best-looking fight of all time. • Elisha Cuthbert heard the Official Fantasy Girl of AG.com title might be up for grabs again and wants to apply for a second term. • If you liked last week's Link-O-Rama music video, "Nothin' But A G Thang," you'll love this oral history of "The Chronic" as the album nears its 20th anniversary. • Kevin Pelton of Basketball Prospectus crunched the numbers from Jack Taylor's record-breaking 138-point game for Grinnell and the sabermetric-style analysis is fun. • Hannibal Buress is at Acme Comedy Company in Minneapolis tonight and tomorrow night. I'll be there for the late show Saturday and if you like stand-up comedy you should go too. • I'd make Guillermo a -340 favorite. 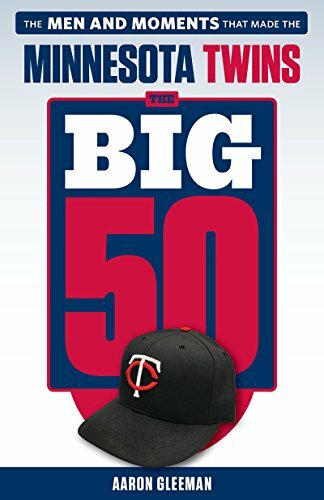 • If the Twins go looking for free agent pitching in the bargain bin, what will they find? 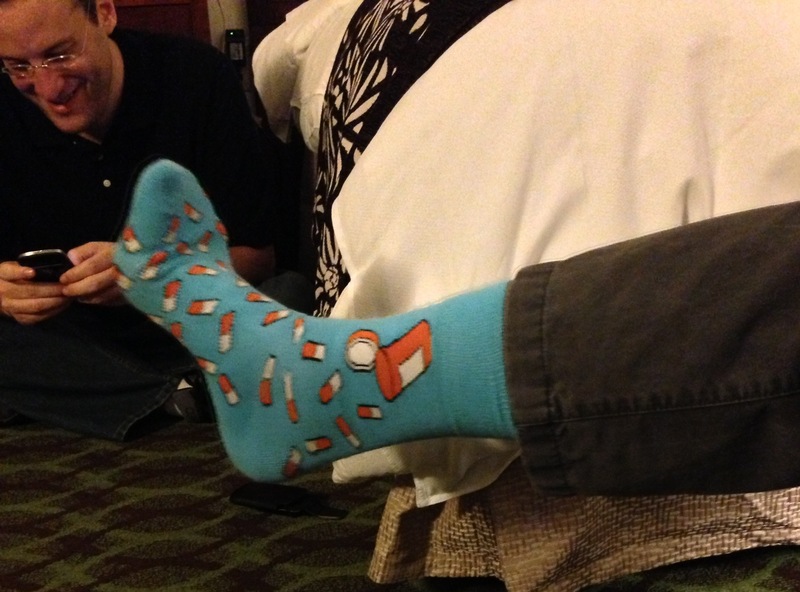 • This week's "Gleeman and The Geek" episode was recorded at my house while we were being filmed for a documentary and then afterward I forced John Bonnes to drink Scotch. There isn't an actor alive who can display that range of emotion in the span of two minutes. • In case you thought you had a rough week, Robert Andino got traded by the Orioles to make room for Alexi Casilla. • Just a really important conversation about an extremely serious topic between two adults. • Two of the greats, Chelsea Peretti and Bill Burr, teamed up for what might be my favorite podcast episode of all time. • Chris Brown of Grantland wrote a really interesting article about Chip Kelly's frantic offense, although naturally Oregon lost while scoring just 14 points Saturday. • "Extreme Makeover: Bud Selig Edition" is a show I'd watch. 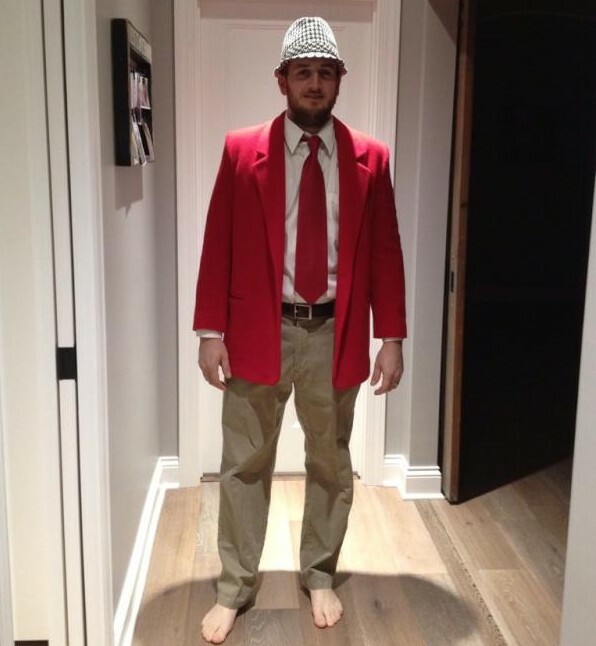 • Casey Affleck is directing a movie about Josh Hamilton. • Whatever this is, I had the opposite. • I've enjoyed listening to David Cone announce Yankees games on YES Network and the former Cy Young winner is very much into sabermetrics. • I'd make a joke about the 25-year history of cellphones, but I still have a Blackberry. • Congrats to friend of AG.com and two-time "Gleeman and The Geek" guest Lindsay Guentzel for her new gig with the Minnesota Swarm. • Jimmy Kimmel's chat with Chris Hardwick on the "Nerdist" podcast was really enjoyable. 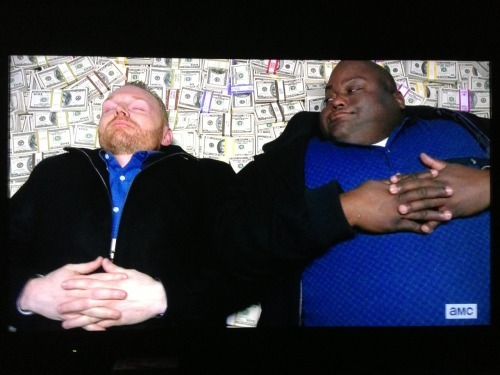 - "Will the Twins sign someone already?" - "Pictures of Otis Redding's funeral"
- "How to include beer into weight loss"
- "Aubrey Plaza face shape"
I've always loved talk radio. As a kid I stayed up late listening to nationally syndicated sports talk and as a teenager I was so obsessed with Howard Stern that I recorded his shows on cassette while at school, later paying a New Yorker to send me tapes when he went off the air locally. As an adult I've been lucky enough to do quite a bit of radio, including co-hosting a show on KFAN, but sitting in a studio with a mic in front of me never ceases being a thrill. Podcasts have taken that to another level, as both a listener and a talker. 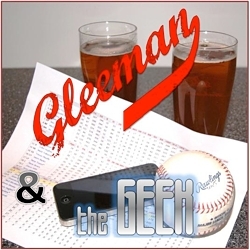 I do a weekly podcast of my own with co-host John Bonnes called "Gleeman and The Geek" that's been an amazing experience for 65 episodes and averages 7,500-10,000 listeners per show. Podcasts also provide the daily soundtrack to my work life, as I subscribe to more than 40 of them and listen non-stop while writing about baseball for NBCSports.com. All of which is a long way of saying that I listen to an absurd, perhaps even unhealthy number of podcasts on a regular basis and people who read this blog or follow me on Twitter know that I also talk about podcasts constantly, recommending good episodes and pointing out new shows I've discovered. With that in mind I thought it would be worthwhile to create a guide to my favorite podcasts, so I've highlighted 15 that are absolutely worth checking out. I'm not sure if "WTF" is the most downloaded podcast, but it's definitely among the leaders and can probably lay claim to being the most influential podcast. Marc Maron started the show in 2009 after being fired from radio and it has turned into a 300-plus episode collection of long-form, probing, occasionally confrontational interviews with the biggest names in comedy. And in the process Maron has found the following his emotional, honest stand-up comedy deserves. In a relatively short time Maron has become so synonymous with interesting, revealing chats that he's constantly referenced on other podcasts and many comedians seem to view going on his show as a career achievement. 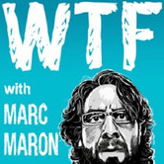 If you have a favorite comedian and want to know their story or what they're like in real life, there's no better place than the "WTF" archives. And along the way Maron will probably become one of your favorite comedians too. 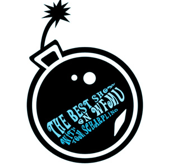 "The Best Show On WFMU"
Tom Scharpling predates podcasting by hosting his radio show on an independent New Jersey station since 2000, but like many listeners I know "The Best Show on WFMU" as a podcast. It's hard to explain Scharpling's brilliance because his weekly three-hour show is unlike any other. He interacts with callers, monologues about music and pop culture, has comedians and musicians as guests, and does lengthy sketches with an always in-character Jon Wurster. Scharpling's tag line for the show is "three hours of mirth, music, and mayhem" and that's just about right. 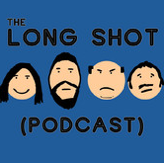 It took me a while to get into the show initially, because the world he's created is often so absurd and the lines separating people from characters isn't always so clear, but now it might be my favorite podcast. Wurster's characters are great, the callers are great, the guests are great, the music is great, and Scharpling is a spectacular puppet-master and comedic genius. 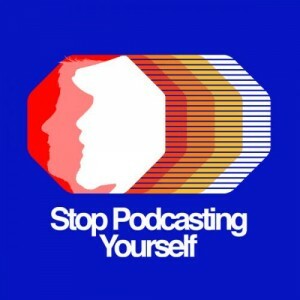 Here's how good "Stop Podcasting Yourself" with Graham Clark and Dave Shumka is: I didn't discover it until March and yet have already plowed through their 240-episode archive. Friends and comedians from Vancouver who make for a perfect odd couple, Clark and Shumka come across as effortlessly hilarious and endearingly silly. And they do it largely without big-name guests, relying on friends from the Canadian comedy scene who're inevitably great. 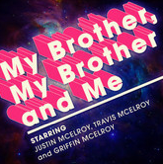 My latest "consume their entire archive like a crazy person" discovery, "My Brother, My Brother, And Me" is an advice show hosted by brothers Travis McElroy, Griffin McElroy, and Justin McElroy. They field questions from listeners, some serious and some not, and dispense mostly ridiculous and silly advice as a conduit for comedy. As you'd expect from three brothers their rapport is pretty amazing and few podcasts get me actually laughing out loud like MBMBAM. 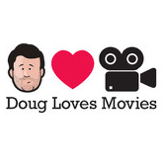 One of the first podcasts I stumbled upon and still a weekly listen, Doug Benson brings on three guests each episode to chat (ostensibly about movies) and then play a name-that-movie contest called "The Leonard Maltin Game" in front of a live audience. I often enjoy the pre-game chatter more than the game itself, but Benson is always great and books tons of well known comedians, actors, and directors on what's basically the world's most laid back game show. 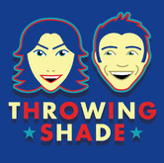 Erin Gibson was consistently one of my favorite guests on other people's podcasts, so I was thrilled when she started a podcast of her own called "Throwing Shade" about a year ago. Along with co-host Bryan Safi they discuss pop culture, politics, and their personal lives, going from farcical to serious and back again without missing a beat. My crush on Gibson has reached epic proportions at this point--she's a must-follow on Twitter--and Safi is a fantastic foil. 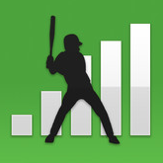 Along with Bill Simmons' show "Fan Graphs Audio" is one of two sports podcasts to which I'm subscribed, although I listen solely for Carson Cistulli's weekly chat with Dayn Perry that has nothing to do with sports. I was once a guest on Cistulli's show and loved it, but my mom listened and offered this review: "I don't understand what's funny about it." That's probably the perfect tag line for the Cistulli-Perry chats and I find them to be more or less perfection. "Stop Podcasting Yourself," "Throwing Shade," and "My Brother, My Brother, And Me" are all part of the Maximum Fun network run by Jesse Thorn, who hosts an interview show called "Bullseye" that can be heard on public radio. 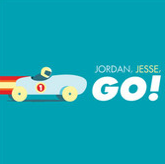 I discovered Thorn by way of "Jordan, Jesse, Go!," his other, far less formal podcast with co-host Jordan Morris. Thorn's radio polish and podcast goofiness is a wonderful mix, Morris is an excellent running mate, and their guests are top notch. 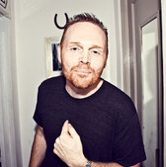 "Bill Burr's Monday Morning Podcast"
Bill Burr is an incredible, well-respected stand-up comedian and in addition to being really funny his podcast is also unique in that it's just him. He occasionally has guests, including his hilarious girlfriend, but 95 percent of the episodes are simply Burr talking/ranting for an hour. I realize that doesn't sound particularly appealing and in most cases it wouldn't be, but Burr makes it work and the more podcasts I listen to the more impressed I am by his ability to entertain solo. I could not possibly be more charmed by a woman than I am by Julie Klausner. Her book was a great read, her tweets are 140-character gold, and "How Was Your Week" is a must-listen. She opens each episode with a monologue that somehow manages to seem off the cuff while being way too amusing to actually be improvised, and then welcomes one or two guests, often from totally different walks of life, for half-hour chats that would best be described as delightful. Sean Conroy is the capable, sarcastically funny host, Eddie Pepitone is the grizzled comedy veteran who's equal parts lovable and bitter, Amber Kenny is the fresh-faced, sharp-witted optimist, and Jamie Flam is the awkwardly amusing punching bag. Together they form an unlikely but incredibly likeable quartet, sharing tales of complaints and triumphs in the Los Angeles comedy world before welcoming a guest to what is, if nothing else, the most crowded podcast. "Who Charted?" 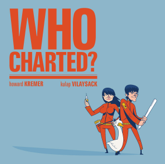 is a rare podcast with a truly unique format, as co-hosts Howard Kremer and Kulap Vilaysack use charts as a jumping off point for hour-long chats with guests. They often stray from the format, sometimes hilariously so, but the ability to come back to a discussion about the No. 1 song in the country or the week's highest-grossing movie keeps things rolling smoothly along with their great chemistry and playful humor. Oh, and Vilaysack is a Minnesotan. Hosted by Elizabeth Laime and her husband/sidekick "psychic" Andy Rosen, the mix of silliness, sweetness, and occasionally raunchy humor found in "Totally Laime" is hard to resist. Each show features a guest, usually a comedian or actor, but the hour-long episodes definitely seem more like chats among friends than traditional interviews. 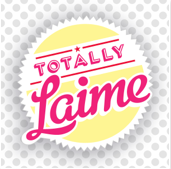 Laime is consistently funny and charming while encouraging the guests to go as far down the silliness path as they want. Joe Rogan is a stand-up comedian, actor, reality television host, and UFC analyst, but his best work might be as a podcaster. Multiple times per week he and sidekick/podcast network kingpin Brian Redban welcome a guest for the longest of long-form conversation, often lasting 2-3 hours. 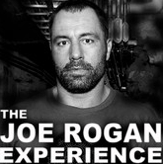 Rogan is never short on interesting stories or weird theories and seems to genuinely love digging deep with people, which makes for consistently entertaining episodes. Scott Aukerman is runs Earwolf, which is home to "Who Charted?" and "Totally Laime," among other podcasts. Before all that he hosted his own show, which features interviews with comedians, actors, and musicians mixed with crazy, improvised sketches in which characters interact with those same (real) guests. It's so good and so weird that it became a television show on IFC, but the "Comedy Bang Bang" podcast remains as fun as when I started listening a few years ago. Just missed the cut: "Your Mom's House" - "Fitzdog Radio" - "The J.V. Club" - "The B.S. Report" - "You Had To Be There" - "The Todd Glass Show" - "Professor Blastoff" - "The Champs" - "Weird Adults" - "Nerdist" - "This Feels Terrible" - "You Made It Weird" - "Bullseye" - "Alison Rosen Is Your New Best Friend" - "The Adam Carolla Show" - "Dave Hill's Podcasting Incident" - "Making It With Riki Lindhome" - "Call Chelsea Peretti" - "Pop My Culture" - "Fixing Joe" - "You Know What Dude" - "Mental Illness Happy Hour" - "Sklarbro Country"
And if you haven't already, please check out my podcast: "Gleeman and The Geek"